Los Angeles, Calif. – August 6, 2014 – Award-winning comic book and graphic novel publisher BOOM! Studios is proud to announce the launch today of the Humble BOOM! 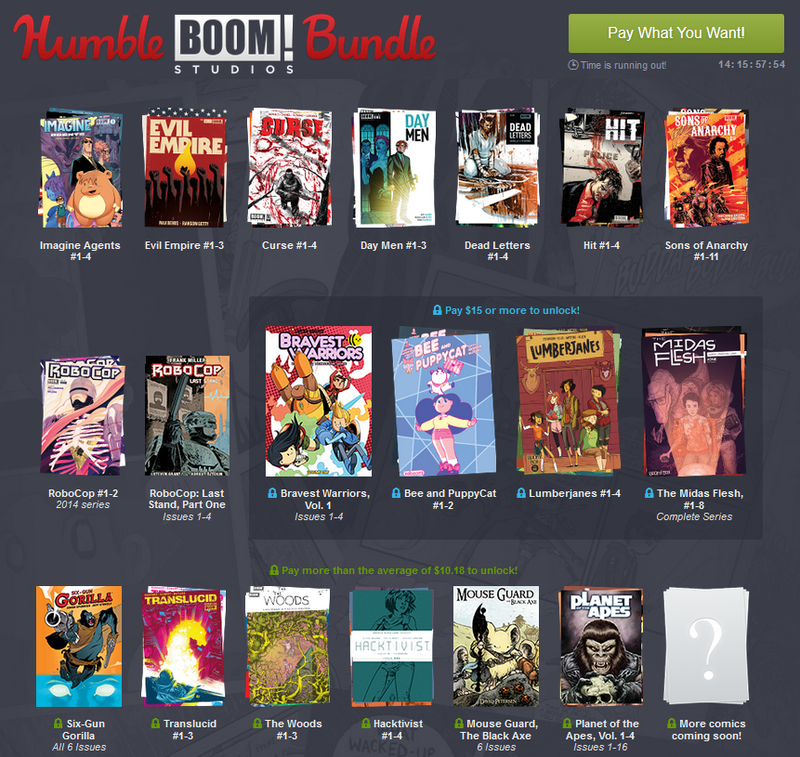 Bundle, a two-week initiative that will allow fans to pay what they want to download DRM-free digital copies of BOOM! titles while supporting the Comic Book Legal Defense Fund (CBLDF), a non-profit organization dedicated to the protection of the First Amendment rights of the comics art form.